Cats are right up there with dogs among the most famous household animals/pets. Cats are cute, furry, loving and love to cuddle with their owners. Cats, actually, have a very extended family. Lions, tigers, cheetahs and pumas; all belong to the cat family. 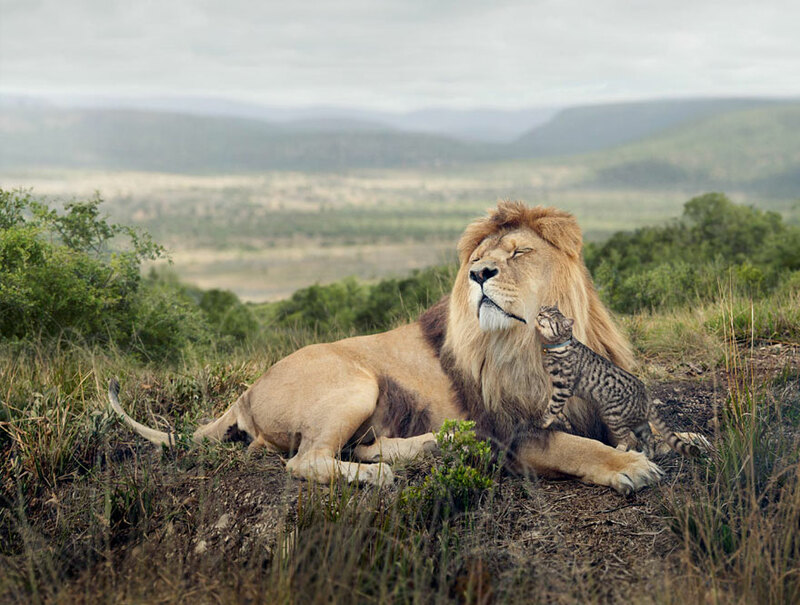 The only difference is that these are jungle or wild cats, and the ones we are used to, are domestic cats.The domestic cats can, however, occasionally show that they indeed share the same DNA with the wild cats. With their ferocious shrieks and attacks on provoking, they keep the basic instincts of their kind intact. 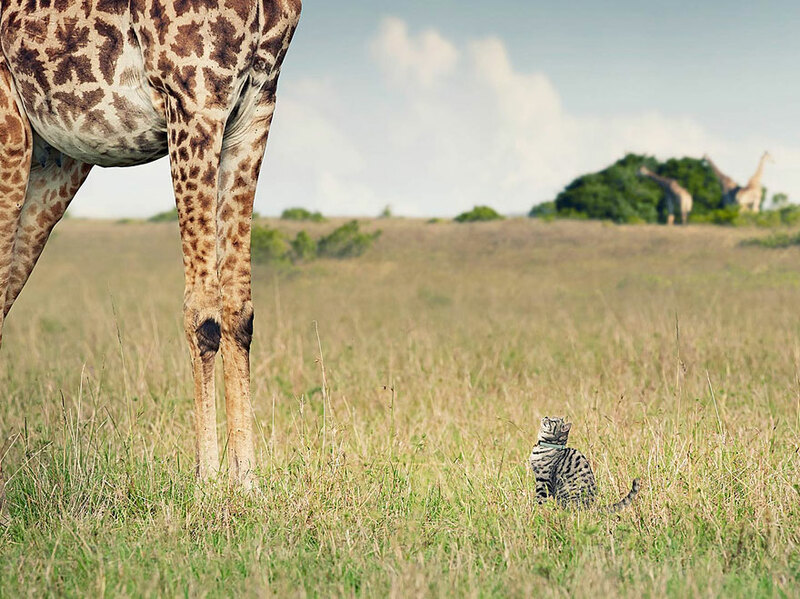 “Big Cat, Small Cat” a campaign for “Whiskas”, takes us to an unlikely journey of how a domestic cat could be in the wild. Scottish photographer George Logan and re-touching artist Tony Swinney combined their talents to bring us this humorous and extremely creative campaign. 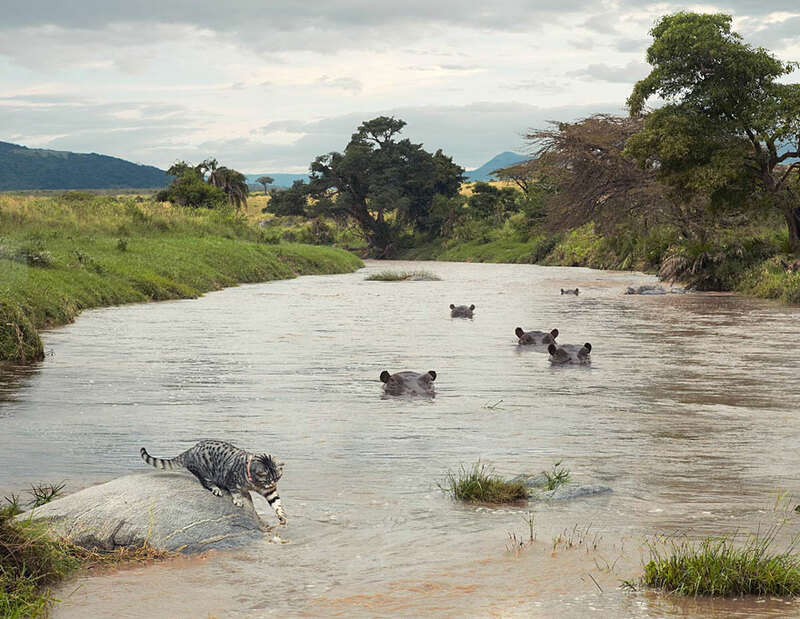 The campaign reveals what it would look like if the common cat had the same natural path as the bigger cats in the family line. 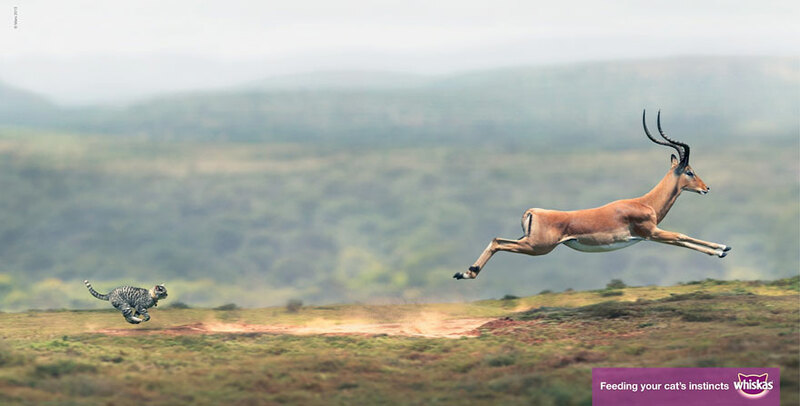 With a perfect use of Photoshop, the images look extremely real and are bound to make us smile. 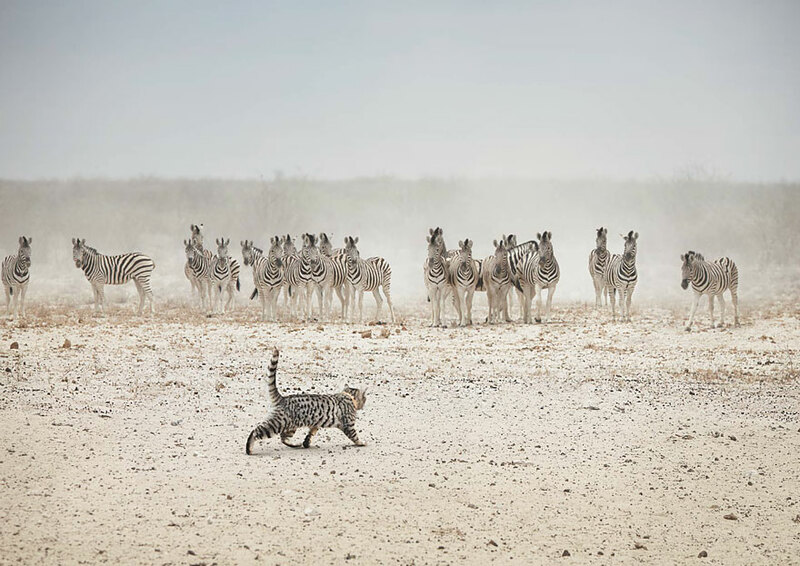 One picture shows a common cat stalking a herd of zebras in a jungle, just as a lion would do. Moreover, the zebras look alert at the sight of the advancing danger. 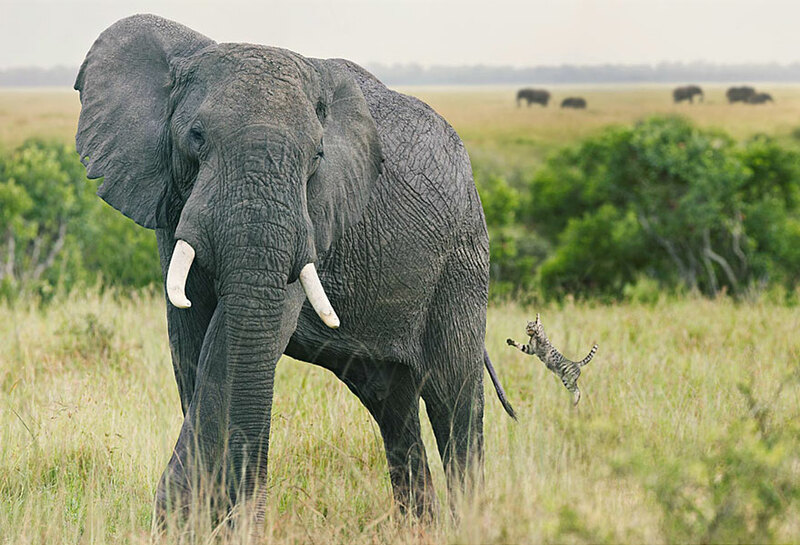 Another image shows the cat pouncing on an elephant, preparing itself for a colossal meal. A cheetah finds sanctuary in the branches of trees. 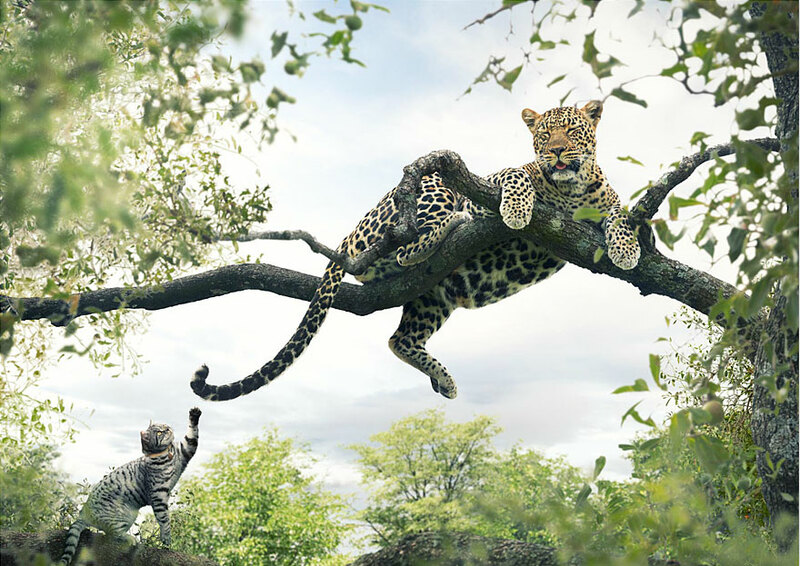 Well, no one is safe from our common cat; as it is shown jumping at a cheetah, which is resting on a tree branch, unaware of the springing danger. The most common things between the domestic and wild cats are the whiskers. What better way of bridging the poles apart species of cats than doing such a marvelous campaign for a product called “Whiskas”?